Lucifers tag line is Damned Good Pizza – and they ain’t lyin! 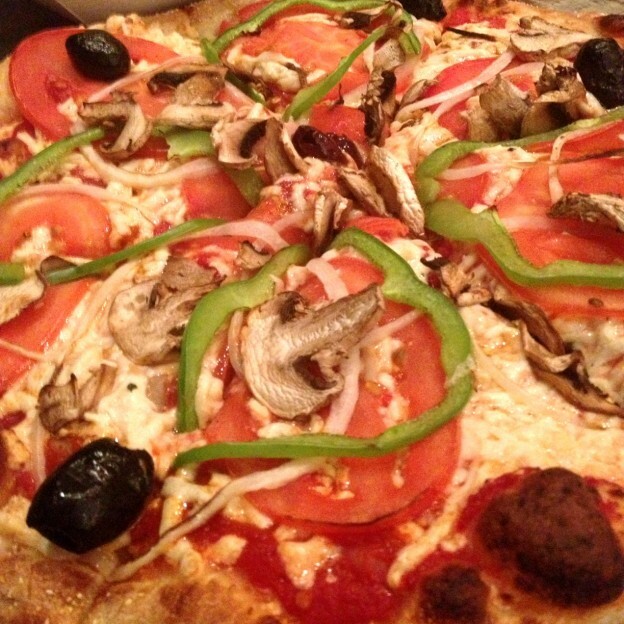 While not a completely vegan pizzeria, they do offer vegan cheese and lots of veggie options. One thing I love is their commitment to using fresh, locally sourced (when available) ingredients. They also have a gluten-free crust option.